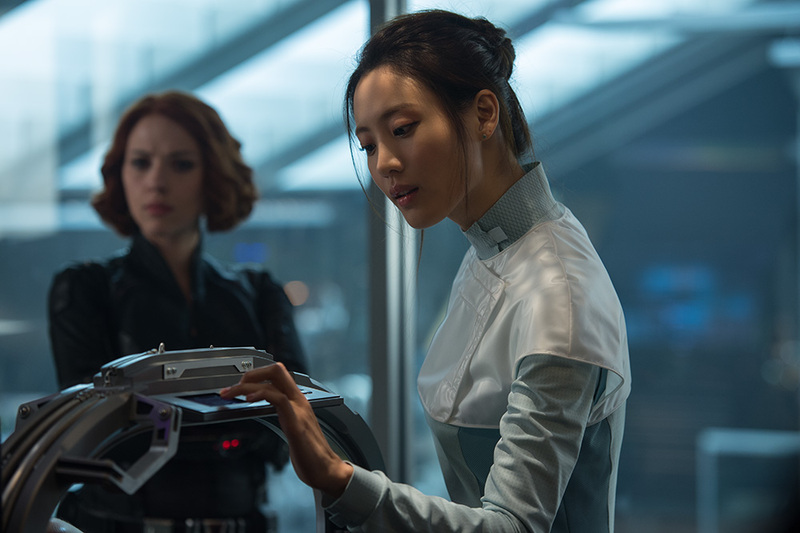 If there’s one anticipated film everyone the world over is talking about this summer, it’s Marvel’s “The Avengers 2: Age of Ultron.” And in South Korea, there’s one name on everyone’s lips: Claudia Kim. The relatively unknown, home-grown actress, also known as Soo-hyun, found overnight spotlight after being cast to play world-renowned geneticist Dr. Helen Cho in the hyper-energetic superhero sequel, due out in theaters May 1. Led by Captain America (Chris Evans), the Avengers — Iron Man (Robert Downey Jr.), the Hulk (Mark Ruffalo), Thor (Chris Hemsworth), Black Widow (Scarlett Johansson) and Hawkeye (Jeremy Renner), as well as S.H.I.E.L.D Director Nick Fury (Samuel L. Jackson) — are back for more hammer-throwing and Hulk-smashing action. In the latest effort by Director Joss Whedon, it’s all hands on deck for the team as they face internal conflict, supernatural twins and a villain with a conviction for justice. “The Avengers 2” is expected to overtake world box offices. South Korea, which saw the film premiere Thursday, a week before its U.S. release, is already loving it. Reserved ticket sales there hit the roof by mid-April, with more than 170,000 — 71 percent of all reserved tickets — sold by April 15, according to Yonhap. On Thursday, an unprecedented 620,000 moviegoers crowded theaters to mark the biggest opening of a foreign film in South Korean history, and second overall, just behind the 680,000 record held by last year’s “The Admiral: Roaring Currents,” local media reported. Kim, who has taken a central spot in promotions in her home country, spoke to the Korea Times about her role in the blockbuster. While Dr. Helen Cho is not her first foray into Hollywood — she plays the recurring warrior Khutulun on the Netflix series “Marco Polo,” which debuted last year — the “Avengers” role will be the one that ingrains her to U.S. audiences. She may be a Korean actress whose credits include roles in local television dramas “Brain,” “Standby” and “Level-7 Civil Servant,” but she’s no stranger to the states. She was five years old when she moved to New Jersey with her father, and lived there for six years before returning to Korea. One of the film’s primary filming locations was Seoul, welcome news to both Korea’s avid fans and to the actress, who knows it as her home city. She said it was one of the reasons the film was so appealing to her. Kim speaks both English and Korean in the film. 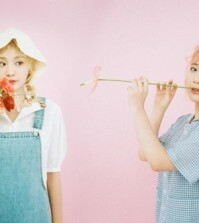 She said Whedon and the staff followed her lead when it came to the Korean-language dialogue. She’s aware of the importance of her role in contributing to Korea’s excitement about the film. “This project’s gained a lot of attention because of its filming in Seoul and because of my casting, so I hope audiences find just as much excitement and satisfaction from the film,” she said.